February 21st is observed as National Management Day, all over the country. 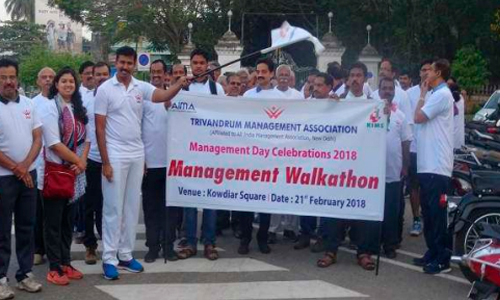 TMA has organised a ‘Management Day Walkathon’ and a quiz programme thereafter. 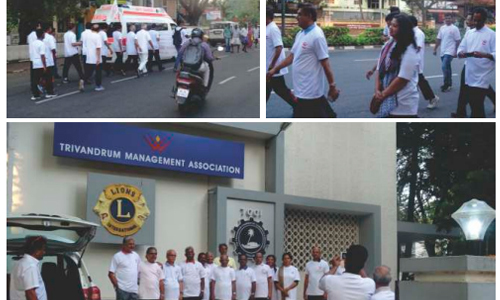 The Walkathon, participated by professional and student members of TMA, was flagged off by Shri. P. Prakash IPS, Commissioner of Police, Thiruvananthapuram on 21.02.2018 at 7:00 AM at Kowdiar Square, Trivandrum. 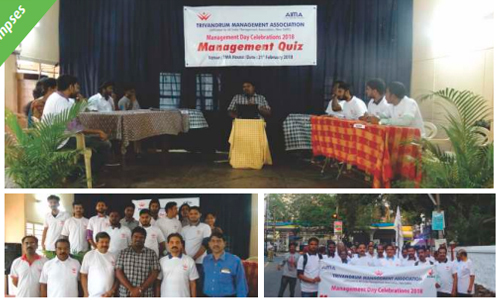 The quiz programme had five student teams from selected B Schools in Thiruvananthapuram. All members who have participated in the walkathon also attended the quiz program as audience. Mr. Jinto Joseph and Mr. Clement Benny.of Kerala Institute Of Co-operative Management won the first prize, joint winner of TMA Management Quiz 2018 followed by Mr. Asif. T and Mr. Jibin B.J from Conspi Academy of Management Studies came second. Mr. Harikesh P.C, President, TMA , Dr. M.I Sahadulla, Chairman & Managing Director, KIMS Healthcare Management, Mr. E.M.Najeeb, Chairman & Managing Director, ATE Group of Companies, Mr. A.S. Suresh Babu, Former Managing Director, Vizhinjam International Seaport Ltd. along with Members of TMA, faculties and Students from the various B Schools in Thiruvananthapuram were participated in both the event.